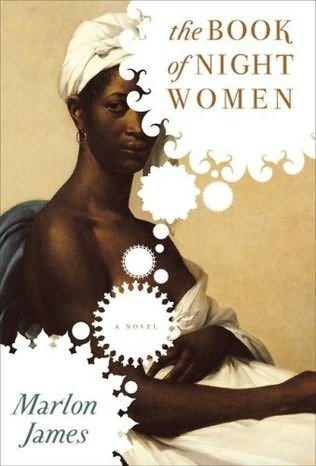 “The Book of Night Women,” a novel written by Marlon James, is set on a slave plantation in Jamaica in the late 1700s. One of the first things unique about the plot is that it is the story of Lilith, a “spirited” mulatto who was fathered by the overseer, and the band of rebellious enslaved women house servants who are her contemporaries. This story is filled with the fear for their everyday survival under a system of lifelong forced servitude, where Black people could be tortured to death at a moment’s notice with impunity. It is also a story about the fear of white oppressors who could sense that at some point the coin will flip. I reflected on how this mirrors today, where police continue to kill Black people with impunity. This fictional account of chattel slavery details the kind of torture that it took to keep this demonic system in place. It showed how even under absolute despotism, rebellious acts were constant, and varied in form. I loved the book most because of its examination of the nuances of class. The story is told from the point of view of enslaved house servants, who live in the big house with the “master’s” family and who literally cater to the family’s every need and fetish. Within these ranks of women, who are in the exact same predicament, there are differences in personality, physicality and experience that shapes where allegiances lie, even among women of the same parentage. There are also times when the British slave owner and others remind the Irish overseer that they are all white but he is lower on the totem pole because he is Irish, and he accepts it, as long as he can feel superior to Blacks. “The Book of Night Women” was written in a way that the characters are multi-dimensional and go through a wide range of emotions and situations. The Black women nor the whites are written into simple, stagnant roles. There are times when the mistress of the plantation says something funny, where you almost start to like her, as well as when a slave likes being raped by her white subjugators. The only role that is not multi-dimensional is that of the Black man. The Black male characters in the novel were either all “johnny-jumpers,” aka enforcers for the overseer, anarchists who were incapable of working with a structured plan like the ones in the concluding chapters, or menial beasts whose intellect deserves not a sand grain of respect, like Atlas, who was the first rebel to murder and later be executed, kicking off the slave rebellion. Critics have likened Marlon James’ writings to Toni Morrison and Alice Walker, both of whom I have read. I would liken his writing most to Mildred Taylor’s, who wrote “Roll of Thunder Hear My Cry” and “Let the Circle Be Unbroken” because of the eloquence in which he writes about the time period and his mastery of Black Jamaican English, which is vastly different from British English, the dialect used by the whites on the island. Aside from my criticism of the lack of development in Black male characters within the story, I think “The Book of Night Women” is a fast paced, informative, eventful, good read. Is this just one more drop in the bucket of support for the cultural genocide of Black people and extermination of Black males? 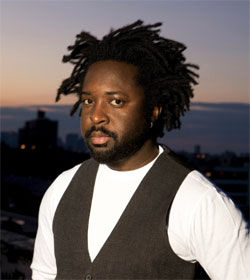 Is this the compromise that Marlon James had to make to get published? We may never know.